FREQUENCY: THE FIRST 2 WEEKS DO EACH SIDE FOR 10 SECONDS AND THEN REPEAT ONCE. Directions: Sit up straight and anchor your right arm down by holding onto the chair with the right arm. The picture describes what to do but the key is DON’T CRANK IT BACKWARDS as this is another sensitive area that can get sore with a stretch that is too aggressive especially when first starting out. Use breathing to get more relaxation in the neck and gently let it go back towards the shoulder blade during exhalation. 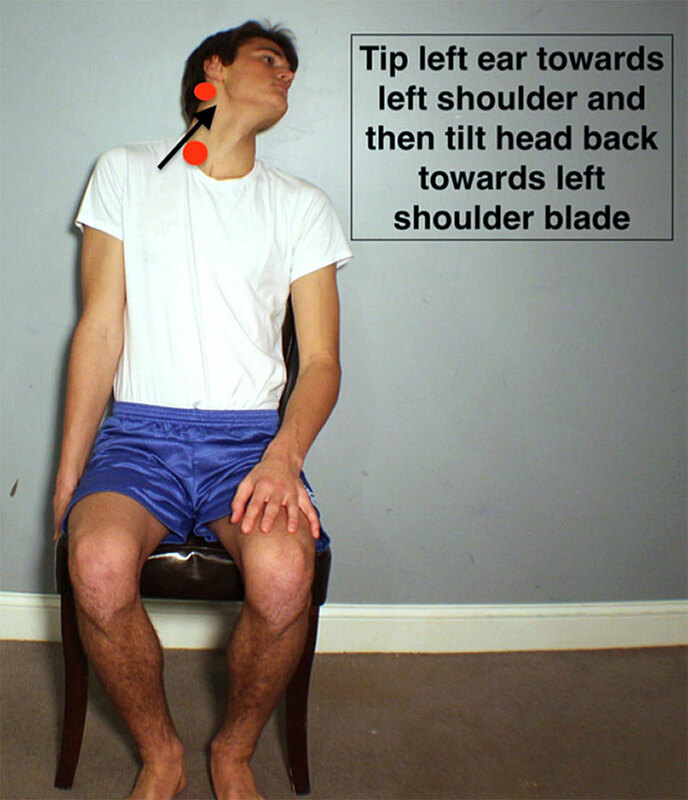 For people with tingling in their arms/hands when they wake up at night this is a good stretch.